Will the GOP get rid of its conservatives, too? The Democrats have run most of their conservatives. 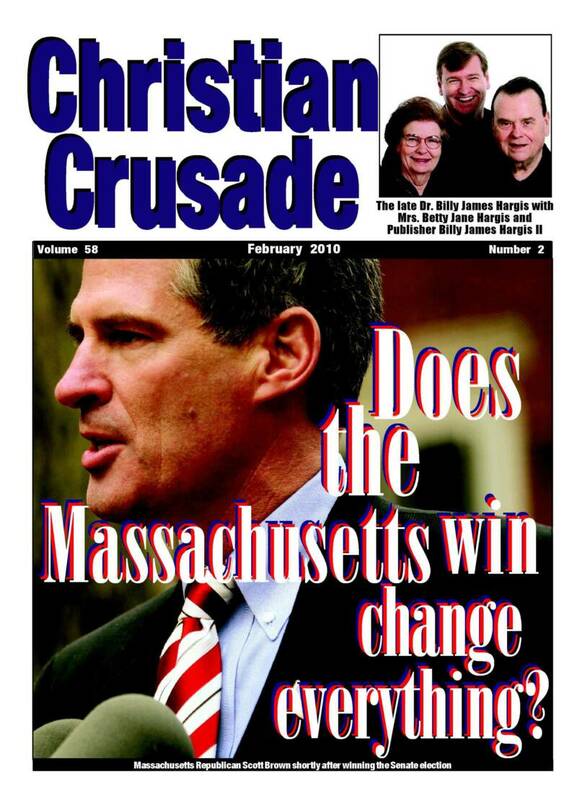 Will the Republicans follow? Why did the media ignore the JournoList scandal? Liberal journalists candidly sneered at conservatives, plotted how to help Obama's campaign ... now their bosses shrug it off. Can you believe a 10-year-old did this? "I had this idea for a slide show to encourage people," wrote Rose Bowen in an e-mail to us, "but didn't know how to make it happen. "I gave the music and pictures to my ten-year-old to play with and this is what he did. I thought it turned out great. If only it was as easy for me to learn to do what these kids do intuitively!" Forthe 10-year-old's patriotic video CLICK HERE! Thank you for your six decades of faithful support. 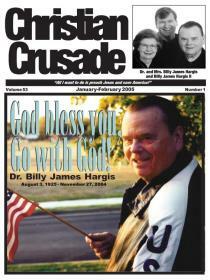 Christian Crusade Newspaper is not currently publishing. on the month of your choice to read that edition! Support this ministry! Share a prayer request! Why did liberals hate Li'l Abner? Media shuns centennial! Will Obama block the Internet? Iran and China regularly do! What is Obama's end game? Where is he trying to take America? Is secession the answer? Is it time for states to begin pulingl out? Does this president ever keep his promises? Why allow a mega-mosque at NYC's Ground Zero? Did voting felons give Democrats the Senate? Did hundreds of illegal ballots do the trick? Is everyone who disagrees with Obama a racist? Why do the liberals constantly use this old trick? Is Obama incompetent or something far worse? Is something seriously wrong with our President? Did Obama confide that he's still a Muslim? A top Egyptian official says that he did! Was NYC journalist a Russian spy? Why has the media ignored this embarrassing story? 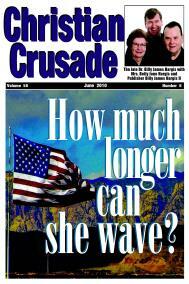 Why the sudden push for immigration reform? Does Obama need their votes to be re-elected? "Geeks" can praise God, too! Continuing in a spirit of fun and fellowship, here is a video of the computer "geeks" of a Georgia church performing Christmas carols on computers. A silly Christmas carol In the spirit of fun, here is a video of Deck the Halls "sung" by various animals. Obama "Christmas carols" Here are three hilarious "Christmas carols" lampooning Barack Obama. The President's con artist White House czar Van Jones tells college kids why to pretend the climate's in a crisis. Celtic "Amazing Grace" Enjoy this stirring rendition that begins on a cheap Irish pennywhistle, then 100 bagpipers! Linus explains the true meaning of Christmas. In this classic TV special, the Peanuts comic strip characters explore why we celebrate. The truth about Che Guevara He was a blood-thirsty killer who doesn't deserve having his face on T-shirts! Silent Monks sing the Hallelujah Chorus OK, it's just a skit by some very creative high schoolers, but their rendition of the famous classic as performed by silent monks is hilarious! School tells 13-year-old he can't fly the flag! It was political correctness at its very worst when on Veterans Day 2010, 13-year-old Cody Alicea was told by his California school to quit flying Old Glory from the back of his bicycle - since somebody might complain that the American flag offended them. So, what happened next? Does our flag still wave? You will enjoy this inspirational video that details just how Francis Scott Key came to be on a British warship during the War of 1812 - and why it was important for him to know if the Star-Spangled still waved in that dawn's early light. Hallelujah! George Fredrick Handel would be proud! Early this month, 650 folks from all sorts of choral groups, church choirs, schools and opera clubs showed up unannounced at Macy's in downtown Philadelphia. Then at high noon, they lifted up their voices. It'll bring tears to your eyes. What are they not telling us about the WikiLeaks fiasco? Why does the mainstream media hide key facts about this "crisis"? Why can't we utter the name of America's foe? Why does political correctness keep us from even admitting that we have an enemy? North Korea's war on our currency Will millions of near-perfect, fake U.S. $100 bills destroy the American dollar? Russian propaganda on U.S. cable TV Russia brings new 24-hour news channel to America. What will it take to turn America around? Is it too late for this land that we love? Do we dare wish "Merry Christmas"? T'is the season to try to stifle free speech. Christmas is a dangerous time To many believers, this has become a season of terror. Was Jesus really born in a stable? What does the Bible say? You may be surprised! Why did God choose a bunch of shepherds? Why not fishermen? 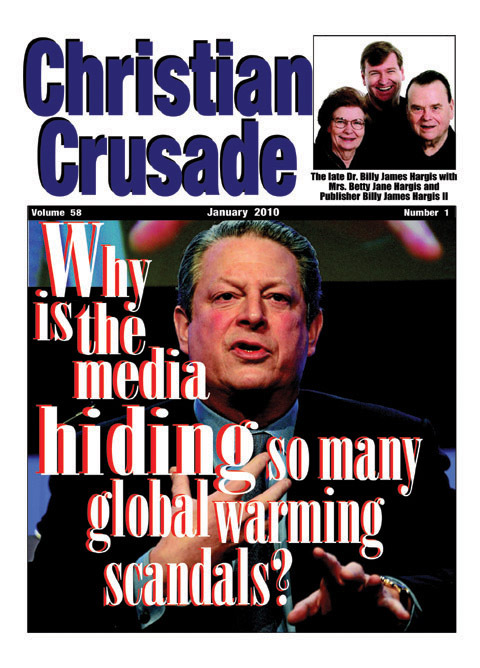 Climate alarmists look for new "crisis" Global warming failed, so now what? Planned Parenthood offers abortion gift cards No, it's not just a tasteless joke. Don't let the thought police steal Christmas! Remember the reason for the most joyous time of the year - the birth of our Lord! Christmas is the promise that we are never alone It's the love story of God and His most beloved creation - you and me! Should Obama lift the Cuban embargo? Is it time to resume trade with Castro's island? 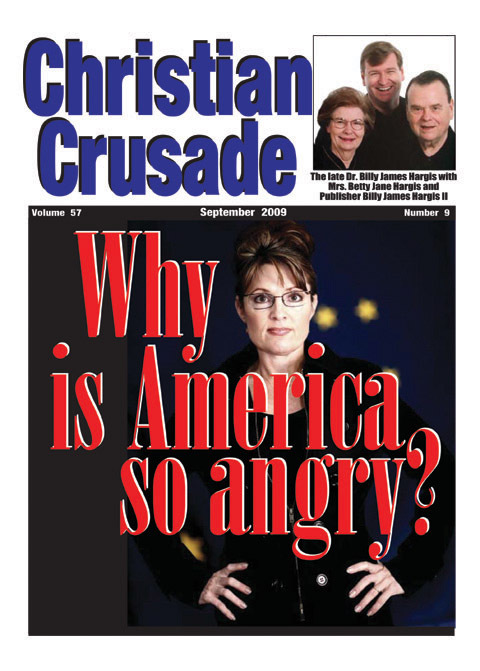 Liberal weapon: mockery Rather than debate the issues, liberals heap scorn on Am erica's conservative leaders such as Sarah Palin. Will this be Obama's 'point of no return'? Will historians cite the Mosque speech as the beginning of the end of Obama's presidency?